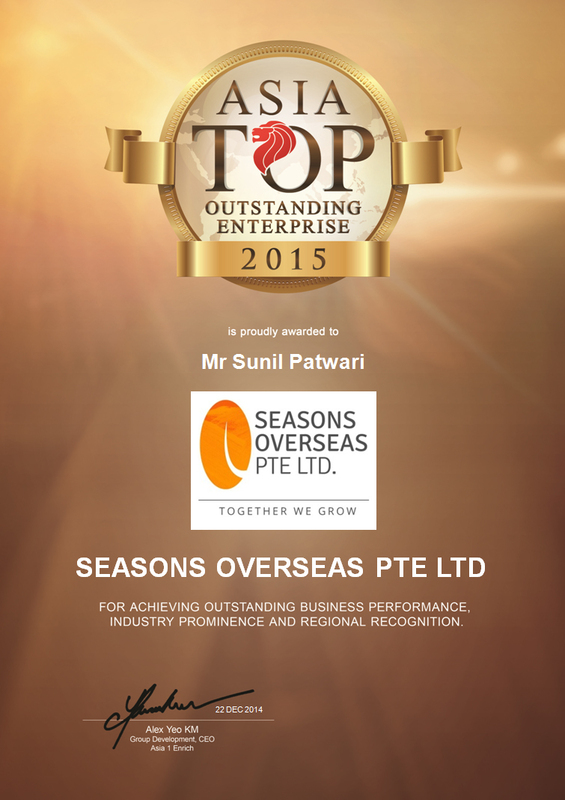 Asia TOP Outstanding Enterprise - 2015 is been awarded to Mr. Sunil Patwari (Season Overseas Pte. 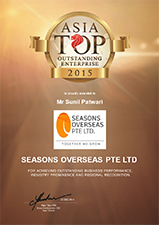 Ltd.), for achieving outstanding business performance, industry prominence and regional recognition. At SOPL, our main focus is to expand our presence both nationally and internationally, by creating value for our stakeholders and being leaders in the business. © 2016 Seasons Overseas Pte Ltd (SOPL) Group.